The Downtown Sailing Center launched it's STEM Initiative in 2013 with a pilot week-long STEM Summer camp for youth. This program utilizes the Reach curriculum, developed by US Sailing to combine their love of sailing with STEM (Science Technology Engineering and Math) principles. This curriculum uses a set of modules, activities completed on land and on water, to teach students about the world around them. The program was very successful and has been offered every summer since. In an effort to expand the outreach, in the spring of 2016, the DSC launched it's first after school program in collaboration with Wolfe St. Academy. Through the schools after school structure, we offered a STEM Sailing course twice a week for the spring semester, providing the Elementary students with quality sailing instruction and STEM education. In the fall of 2016, we took on an even more ambitious project. In addition to continuing to provide an after school activity with Wolfe St. Academy, we launched a comprehensive after school program at Bay Brook Elementary and Middle School. 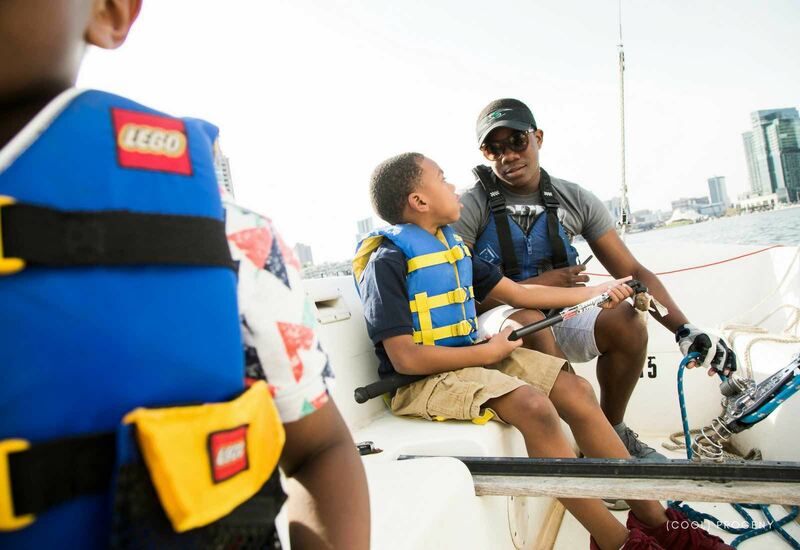 This program not only provides students with the opportunity to learn STEM subjects and sailing, but also supplies them with educational enrichment, homework help, dinner, and physical activity.